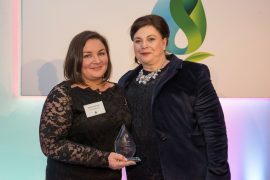 Some of the very best healthcare professionals working in multiple sclerosis (MS) have been honoured at this year’s QuDoS recognition programme. Run by the MS Trust, QuDoS in MS stands for ‘Recognising Quality in the Delivery of Services in Multiple Sclerosis’ and is now in its third year of honouring the work of frontline clinical staff in meeting the needs of patients. 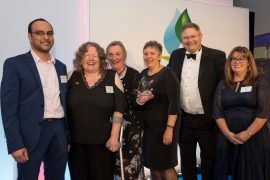 QuDoS brings together MS professionals from across the UK to celebrate the very best examples of innovation and exceptional work in MS care, and this year’s winners were announced at a celebratory dinner in Leicester. The recognition programme is supported by pharmaphorum media in partnership with the MS Trust, and sponsored by both Roche and Biogen. Held on the eve of the MS Trust annual conference, this year’s ceremony was hosted by consultant neurologist at the University Hospital of Wales, and QuDoS judge, Dr Trevor Pickersgill. 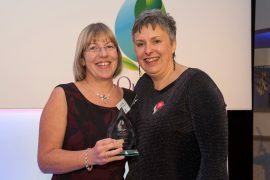 “My fellow judges and I were very pleased to have received such a wide range of entries for this year’s programme, clearly showing the hard work and innovative thinking of so many teams and individuals working to support people with MS and improve the quality of their patients’ lives,” said Dr Pickersgill. 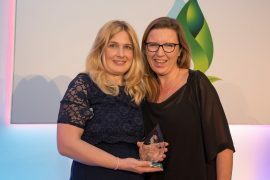 Tania Burge of the North Bristol NHS Trust won the Outstanding Allied Health Professional category for her tireless work putting people with MS at the centre of her care. “It’s just amazing to have won this award. There’s so much that goes on during the year and it’s great to have this event to recognise that. It’s a lot of hard work but it’s so worth it. There’s nothing like someone coming back and saying we have improved their life,” said Tania. The final two individual winners were Dr Adnan Al-Araji, consultant neurologist, director and lead at the Royal Stoke MS Centre, for the Outstanding Physician category, and Aoife Shields, principal Pharmacist at the University College London Hospital NHS Trust, for the Outstanding Pharmacist category. 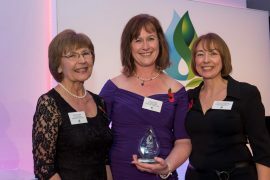 Wessex MS Therapy Centre’s MS Buddy Scheme won the Innovation in care category for its simple, but effective, means of tracking social isolation issues in MS patients. 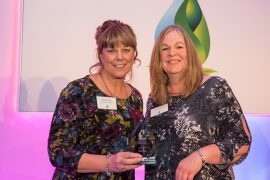 “We want to say a big thank you to the MS Trust for recognising the MS Buddy Scheme and we are delighted to have won the Innovation in care category. We are very proud of all the hard work the staff at the therapy centre put in on a daily basis to help people with MS live a quality life,” said Rosie Eliot, director of the Wessex MS Therapy Centre and member of the MS Buddy Scheme team. 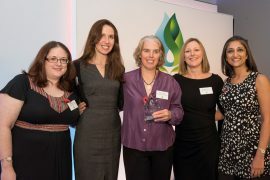 Accessible patient information in care, which recognises the importance of high quality information to support people affected by MS, was won by the Frimley Park Hospital MS Service, while the Therapeutic Opportunities Team (TOPS Team) of the North Bristol NHS Trust won the Real-World Evidence in Care category. Two final Judges’ Special Awards were given to those entries the judges believed deserved special recognition for their work. The first went to 2016 Real-world Evidence in Care winner, the Salford Royal NHS Foundation Trust team, for its Neurological Examination Nurse Training Course (NENTC) – a training programme to help nurses better diagnose warning signals of central nervous system (CNS) impairment, leading to better care for those with MS.
“I am extremely proud that we have won this award on behalf of all the team at Salford who have helped develop the programme to what it is today. 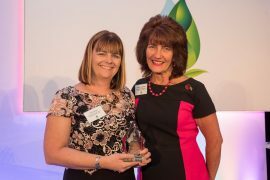 It’s a pleasure to be able to help nurses develop and we have to thank all the patients who give their time willingly,” said Karen Vernon of the Salford Royal NHS Foundation Trust team. 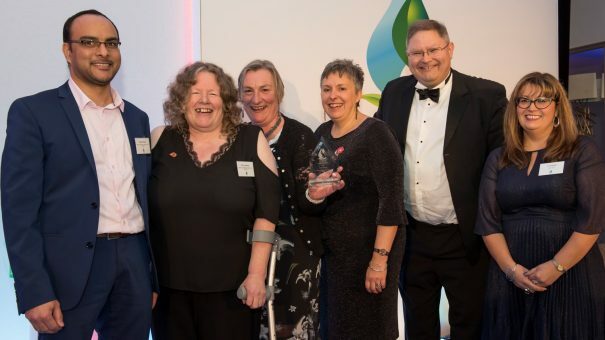 The second Judges’ Special Award went to the NHS Western Isles MS Service for its work introducing several initiatives, including video conferencing, in a remote part of the UK to improve patient access to care. “I am so delighted, for me and for the whole team. But it’s not about us, it’s about the patients: if you listen to them, they will give you all the answers you need,” said Rachel Morrison of the NHS Western Isles MS Service. • Queen Elizabeth MS Team, Queen Elizabeth Hospital, Birmingham.